Banner stands are an excellent choice when looking for a portable display. They can be used in many different industries for different uses. Banner stands come in a variety of styles from fixed stands to X-Style stands, Expandable stands and Retractable stands. The Retractable banner stand is probably our most popular banner stand style. It’s sleek, simple to use and easy to transport. All of our banner stands are re-usable and re-loadable giving you a great piece of sign hardware for a very reasonable price. 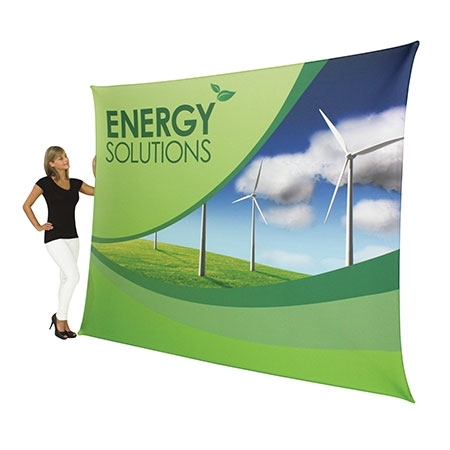 All types of banner stands are available in a variety of sizes to suit any location or event. Some are even adjustable to allow you to use bigger or smaller banners depending on your current need. Many even come in mini sizes which are great for counter and table top displays. Most commonly, banner stands are used for trade shows and events, however with the many different available styles, options are available for uses in all types of situations. For instance, retail stores benefit from using banner stands to display new products and for marketing. You see them in store windows and throughout malls as well as in drug stores, big box retail stores, and convenience stores. In addition to being used for retail and trade shows, banner stands are great for corporate lobbies, medical offices and hospitals as well as in municipal areas such as schools, city halls, and libraries. The uses are limitless. 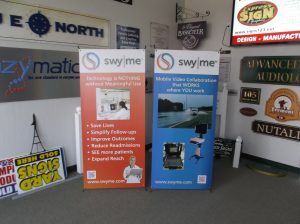 Expandable banner stands are great for creating a wall of graphics for a trade show booth or event. Many people use them with Repeat Banners for photo opportunities at charity events and other red carpet events. 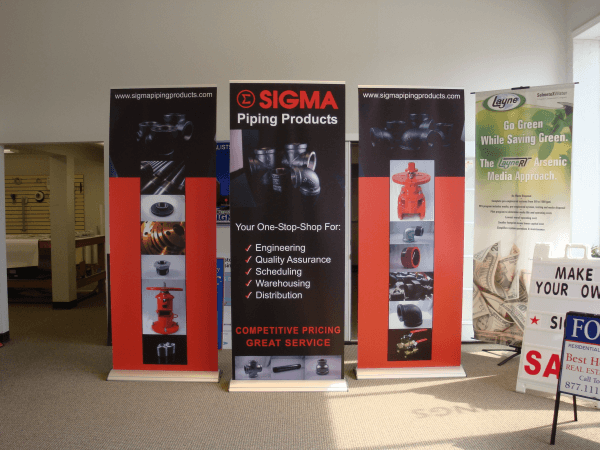 What Are the Different Types of Banner Stands? 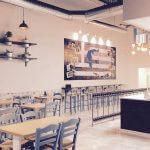 We will break down the different types of banner stands and give you the features and benefits of each to help you decide which is right for your particular event or use. These are one of the most popular styles. They work very much like and old fashioned window shade. The graphic is attached with double tape to a spring loaded cartridge and allows you to quickly open an set up the graphic. Retractable stands are available in many sizes as small as 15″ wide and as wide as 59″. Heights on these banner stands can be fixed or adjustable depending on the pole provided with the stand. We offer both fixed an adjustable size stands. The cartridges for these stands are generally silver or black. They can include an added foot on the bottom to keep the stand balanced. Retractable banner stands are also available in both single and double sided styles. 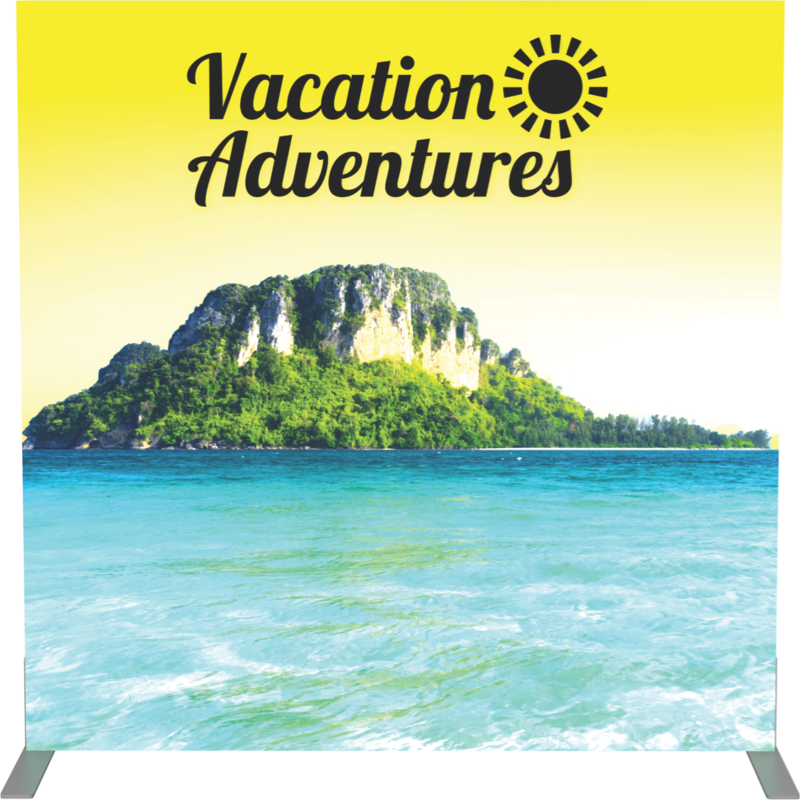 Retractable banner stands can use vinyl and fabric banners. Most retractable displays are best used for indoor events and advertising. We do carry Thunder, an outdoor double sided heavy duty banner display for use outdoors with extra large feet to ensure stability. Another durable outdoor banner stand is the Blizzard Banner Stand. This offers an adjustable height and width for multiple graphic size otions. the stand depending on your available display area. Some can go as wide as 120″ and as high as 120″. We even offer connectors to allow you to connect these displays together for an extremely large wall of graphics. Many Telescopic stands offer the ability to adjust the height of your graphic larger or smaller depending on your needs. 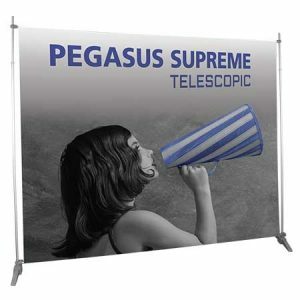 Telescopic Banner Displays can use both vinyl and fabric banners. 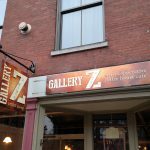 Telescopic Displays can be used both indoors and out provided you have them tacked down outdoors to prevent them from tipping or blowing. The X Style banner display is one of the simplest options. It’s basically a metal or plastic tubing with springs that accommodate a fixed size banner. They are simple to set up and the banners simply attach at the four corners with grommets. If you are looking for a cost-effective, simple solution, this is an ideal product. Most X-Style Banner displays are best used indoors as they cannot hold up to wind. Our Spring X Banner Display from Orbus is perfect for outdoor use and has a fillable base for water or sand for extra stability. 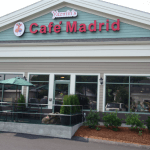 Our Cafe Barriers by Orbus are another great way to display your banner. You can group these together to surround a trade show booth area, or use them to dictate traffic flow while advertising for your business, bank, or event. 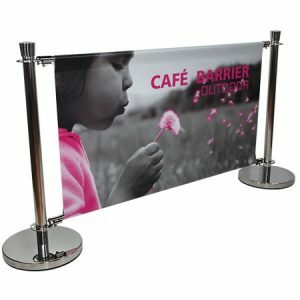 Cafe Barrier banner displays are great for indoor and outdoor use. They can also be used with both fabric and vinyl banners. These displays use a tubular base along with a pillowcase style graphic that slides over the top. This is an attractive solution and super simple to set up. They are available in straight and curved styles. The graphics for this type of stand must be fabric. We offer our Formulate Banner displays in a variety of shapes and sizes that can be connected to make an interesting display. Our Vector Lightbox banner display is another great option. This display uses a light behind the graphic to enhance your graphics. LED lights are adhered to the inside of the display and you simply attach your graphics and plug Vector Lightbox Banner Frame it in. There are a wide range of sizes to suit all types of displays for trade shows, window displays and more. 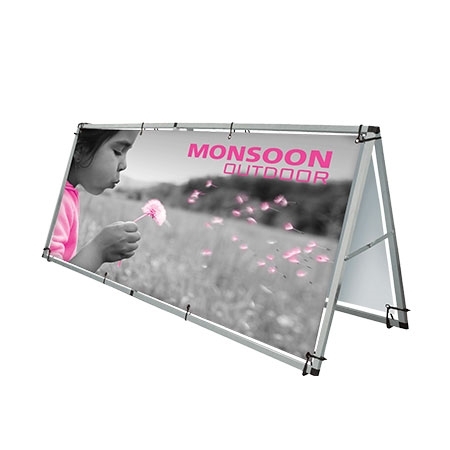 These single or double sided, semi-portable displays are perfect for outdoor use. Ideal for field side lines or outdoor event areas, they hold two 92 x32 banners and have ground stakes and bungie cord style attachment. As you can see, we have many options for you for banner stands and displays. There are many options for each of the styles listed. We recommend you check out our EXHIBITORS HANDBOOK to see all of the styles and sizes available for each of these banner stand options. I’m positive we have the right product to meet your needs. with questions on any of these products. We will gladly provide you with fast quotes on any of these products. We also offer quantity discounts and fast turnaround times. Do you already have a banner stand and need replacement graphics. We can help with that too. Just give us a call or bring in your banner stand and we can get you the replacement graphics you need. As Easy as 1-2-3! We want to provide you with the best possible solution -- designed, fabricated, and installed specifically to meet your needs.